Father Kunst has a deep devotion to the saints as can be readily seen in viewing the Saints & Blesseds section of this site. Among his favorites is Mother Teresa of Calcutta. Several items connected to her are included in the Collection. 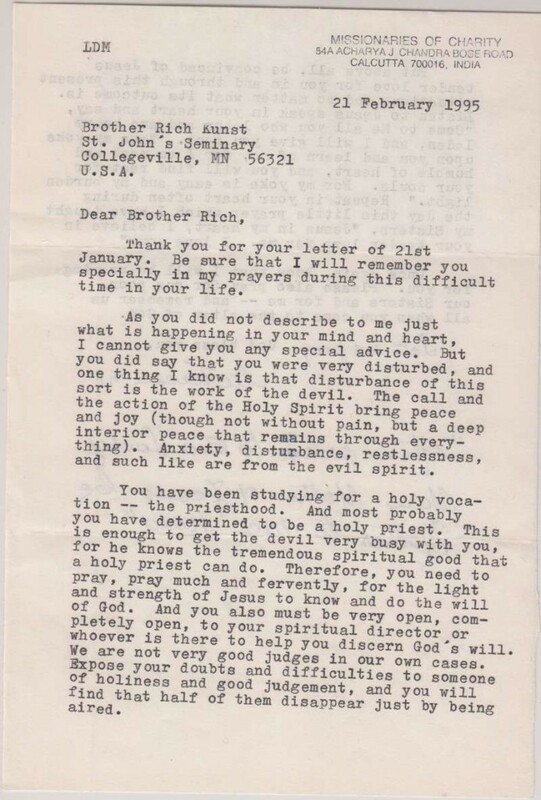 One of them is this heartfelt letter, written to a young Richard Kunst who was in the process of discerning his vocation. (The Collection has another letter also written to him.) We invite you to access the Saints & Blesseds pages to learn more about some of the most inspiring men and women who have offered their lives to God and to our Church in such generous and holy ways. 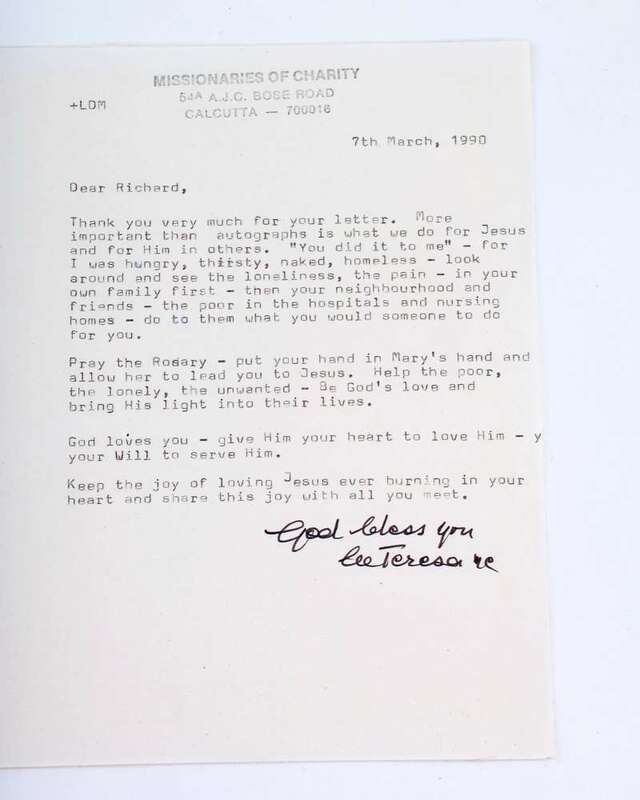 The following letter is from Mother Teresa of Calcutta to Father Richard Kunst, dated February 21, 1995. 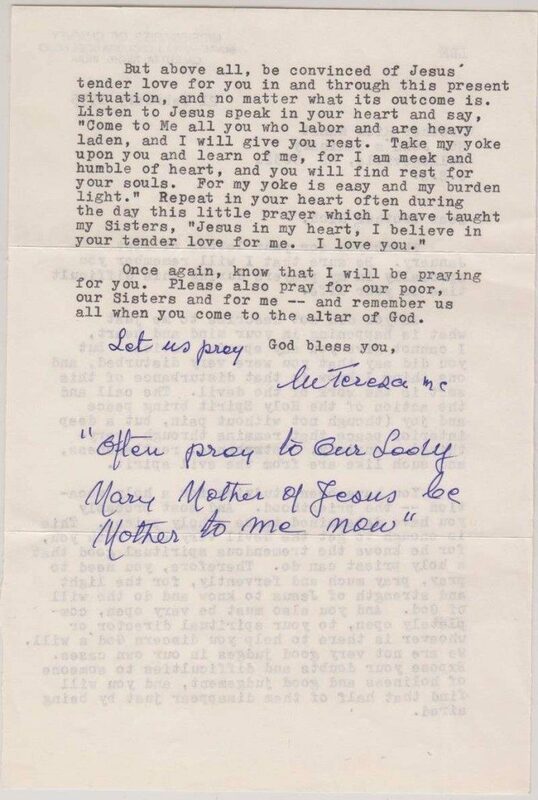 Father Kunst requested prayers from Mother Teresa during a time of discernment regarding his vocation. This is a typed letter with a hand-written note from her at the bottom of the letter. 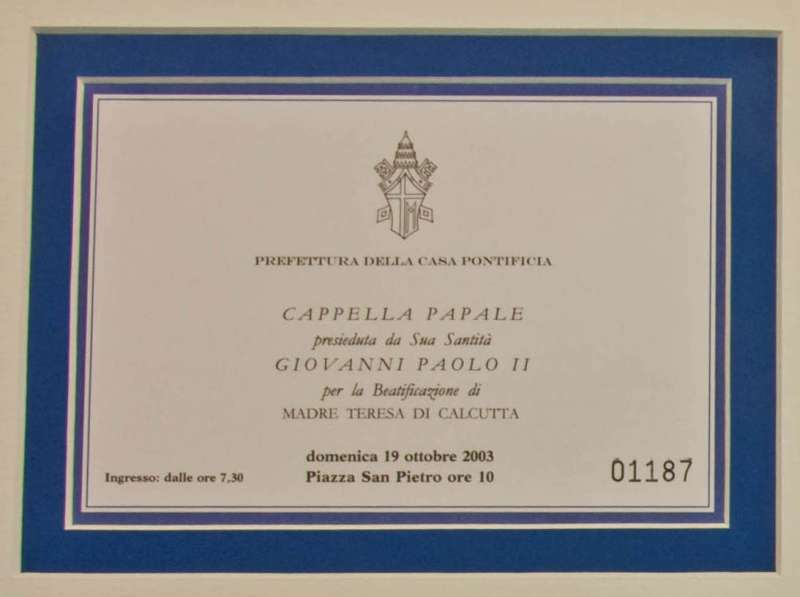 Pope John Paul II beatified Mother Teresa on October 19, 2003. She was canonized on September 4, 2016, by Pope Francis. Her feast is celebrated on September 5th. She was the founder of the Missionary Sisters of Charity. 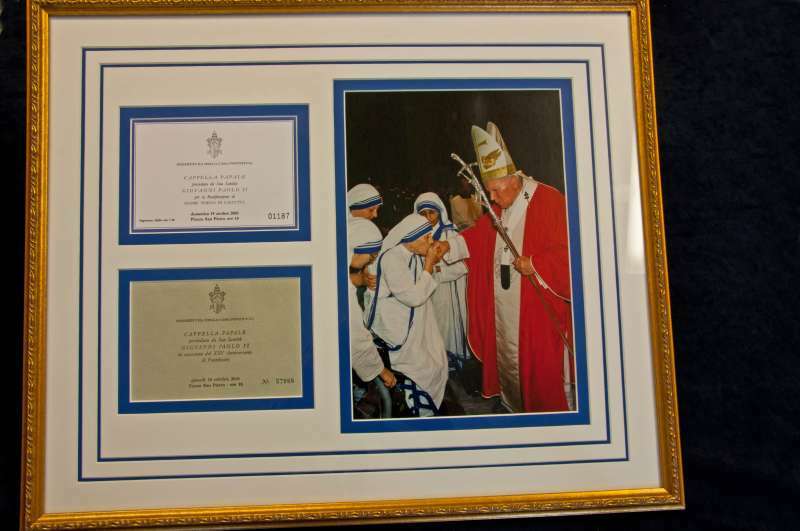 Papal Artifacts has four items connected to Mother Teresa, which may be found on Papal History/Saints & Blesseds/Mother Teresa. Mother Blessed Mother Teresa, pray for us.